Speak Eazy Apps is dedicated to improving the communication skills of toddlers, preschoolers, children with special needs and young English language learners. We develop educational mobile applications that are intrinsically motivating, functional and highly interactive. Children engage in active learning to improve their ability to learn new vocabulary and early concepts in fun and meaningful ways. Our apps are designed for teaching children language skills, without them ever knowing it! 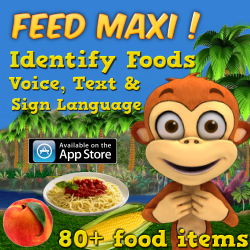 Children learn to label & identify food items by feeding Maxi, an adorable, hungry monkey during a highly motivating and interactive game! Designed by a speech-language pathologist, Maxi requests, comments & uses simple sign language to enhance communication skills. 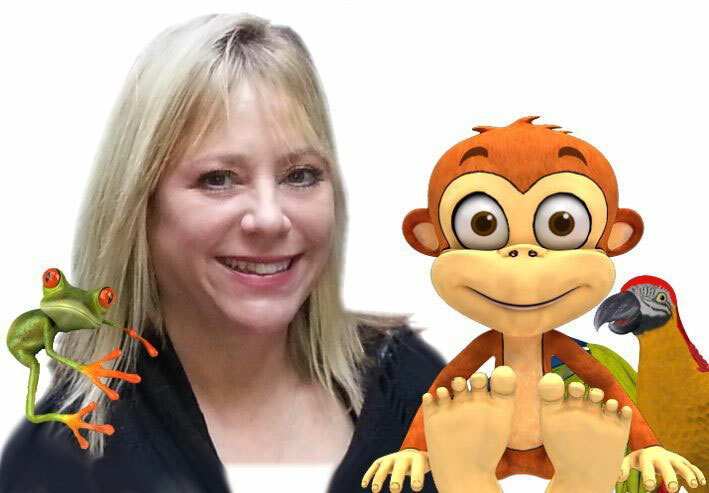 Speak Eazy Apps was founded by Pamela Mandell, a certified speech-language pathologist with over 16 years of experience specializing in the field of early intervention. She currently provides speech and language services for toddlers at a non-profit school in Manhattan as well as home care services for babies, toddlers and preschoolers with special needs. Read the review from I Heart This App. Maxi the Monkey is super cute when he requests the food items. Students familiar with some simple ASL (more, want and please) will love the sign language that goes along with the audio request! Speak Eazy Apps premieres "Feed Maxi" at the American Speech-Language-Hearing Association Convention (ASHA) in Chicago. 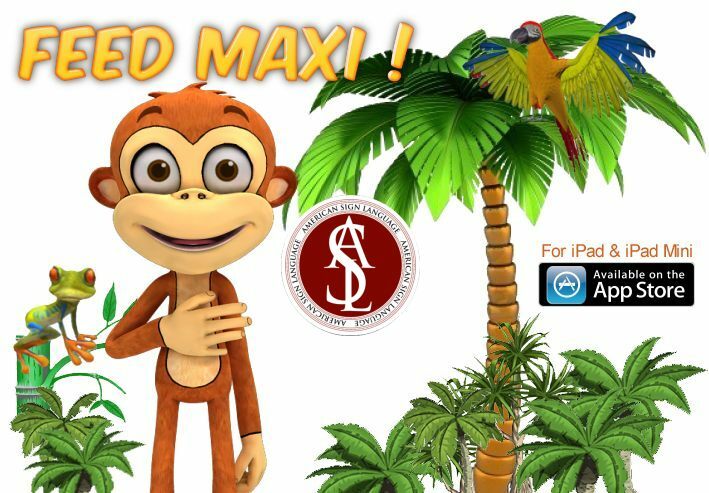 Teachers With Apps reviews Feed Maxi! The Baby Spot reviews Feed Maxi! I worked with special needs children & I really recommend this app for children that are learning to classify their food groups. 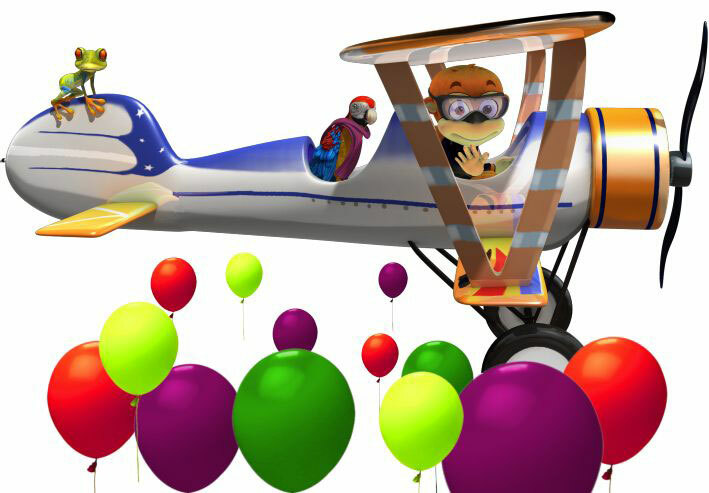 It’s difficult to find the perfect app that is suitable and also engages learning in children. This app has it all. Autism Daily Newscast reviews Feed Maxi! 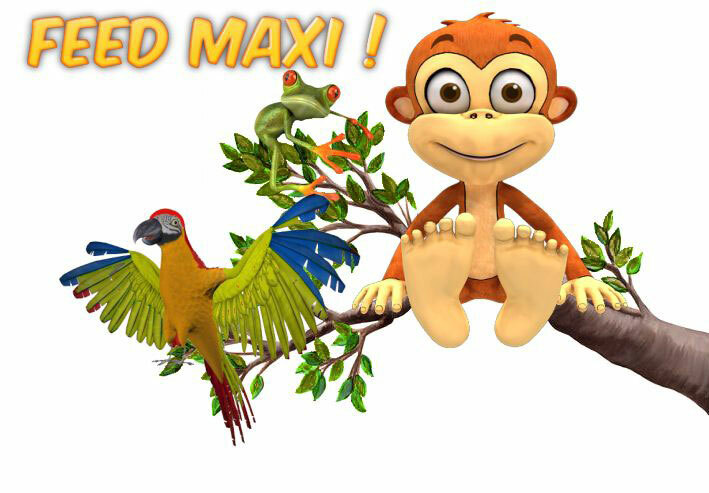 Twin Sisters Speech & Language Therapy reviews Feed Maxi! Thank you so much Speak Eazy, your app has already made a difference in the life of one of my precious clients who usually has a difficulty communicating in any way, and I know it must be doing the same with others trying it out as well!